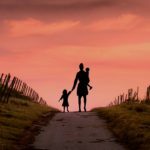 As you can tell from my post, What I Wish I Knew Before Having a Second Child, my second baby has not exactly been an easy experience for me. 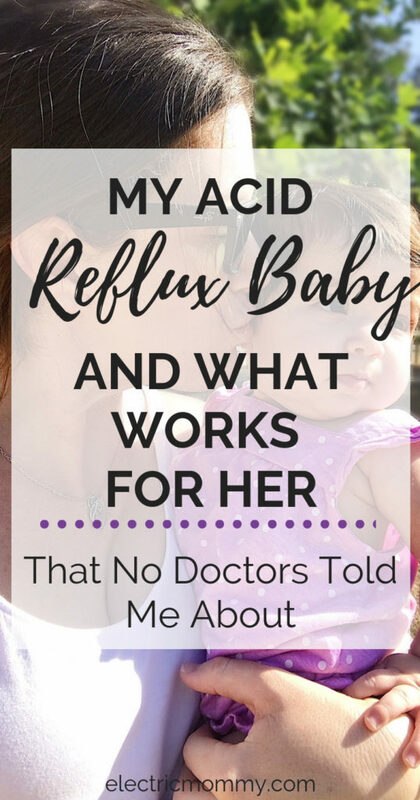 I believe the main reason for this is because she is a reflux baby and figuring out what was wrong and what eventually helped her took months. Acid reflux (also known as gastroesophageal reflux or GER) is when the stomach contents comes back up into the esophagus. Most people associate reflux with large amounts of vomit or spit up. However, as I learned, that is not always the case. My baby wasn’t spitting up at all so she was tougher to diagnose. Difficulty eating. She could only swallow small amounts of milk before pulling away and jerking her head. Made gagging sounds and motions. Irritable and often appeared like she was in pain. Would become stiff and arch her back during and right after most feedings. I asked her doctor if her relux had anything to do with the fact that I was not breastfeeding. Could it be the formula causing this? He assured me that formula feeding has nothing to do with it. 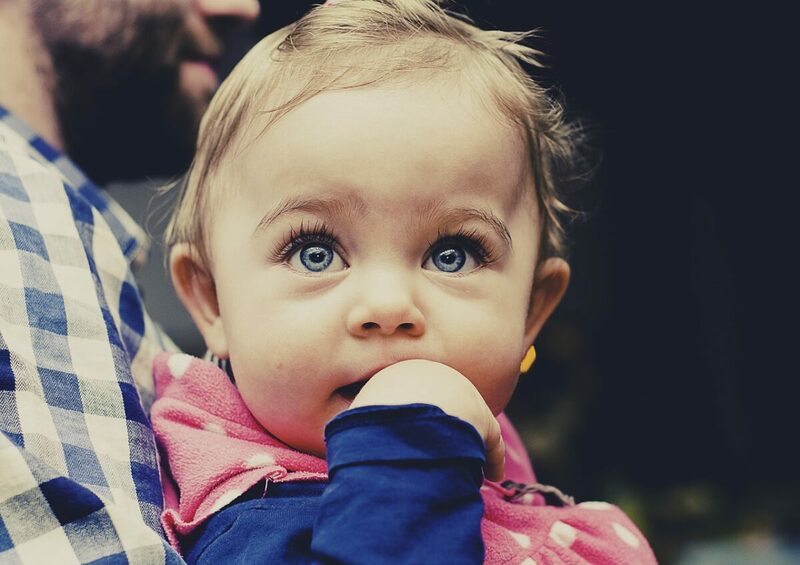 Typically, the main cause of reflux in babies is a weak muscle in the lower esophagus. Babies will usually outgrow it once that muscle becomes stronger. In the meantime though, there are ways to treat it. 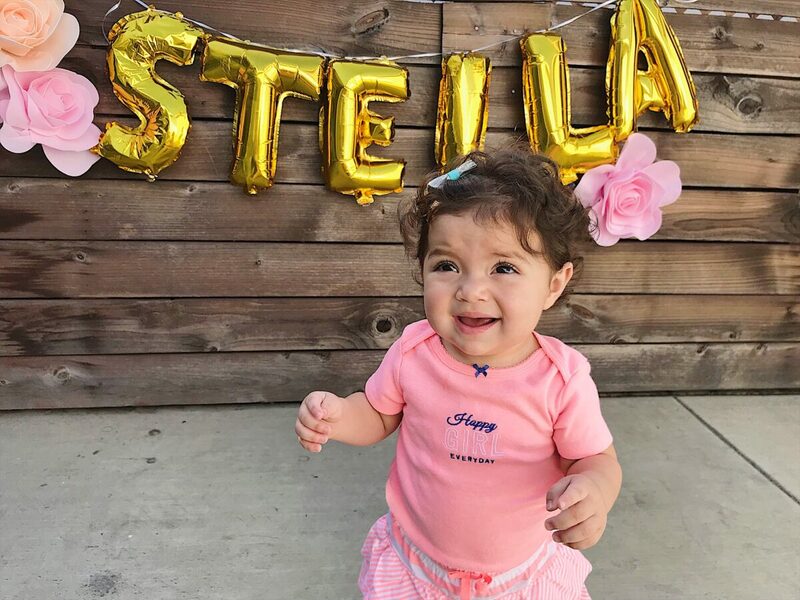 I spoke with my baby’s pediatrician about her symptoms at one of her first appointments. Since I was formula feeding, one of the first things we tried was a different type of formula. 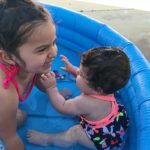 We tried Nutramigen, which is a hypoallergenic formula that is supposed to reduce the colic a baby might be receiving due to a cow’s milk protein allergy. After a week or two on the new formula, we saw no change. We went back to her doctor and I explained that she was still gagging and having a very difficult time feeding. 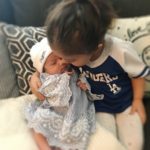 It was during this visit where we discussed her symptoms in more detail and he officially diagnosed her with having reflux. Feed her small amounts, more frequently. 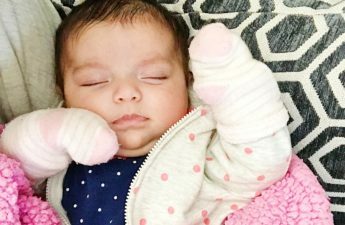 She started out having no more than two ounces at a time, about every two hours. Always burp her after each feeding. Feed her in an upright position. Soon, we did start to see some improvement. She wasn’t crying as often and she could eventually get the whole bottle down. However, after her feedings, she still seemed to be in quite a bit of discomfort and would still get stiff and arch. She was having trouble burping and we felt like she was getting air trapped in her. It was hard seeing her still in pain! Then, I remembered that a close friend of mine had a baby with severe reflux. 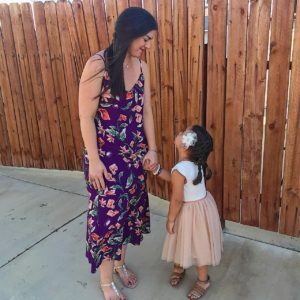 I talked to her about what helped her baby and she mentioned a couple things. One was to try giving her ready-made formula instead of the powder. She swore that this helped her baby tremendously. It made sense that it might help because when we mix the powder formula with the water and shake it, it creates a lot of bubbles. It doesn’t really have time for the powder to completely dissolve. The ready-made formula is already mixed, completely dissolved and has almost no bubbles. I decided to give it a try and I am SO glad I did! After making this switch, we have noticed a huge change in her feedings. She can eat more easily and the crying has almost completely stopped. I couldn’t believe that the two doctors we had taken her to didn’t mention trying this. We also really like the Dr. Brown bottles. 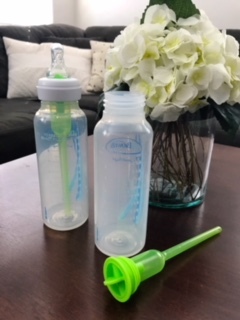 I definitely don’t think that they help with reflux on their own but they do help to eliminate any bubbles that might be trapped in the milk or formula. Around four months, we were even able to stop giving her the Zantac. We are now going into month six and she is doing awesome. She still has to eat less amounts more frequently but all the other symptoms are gone. 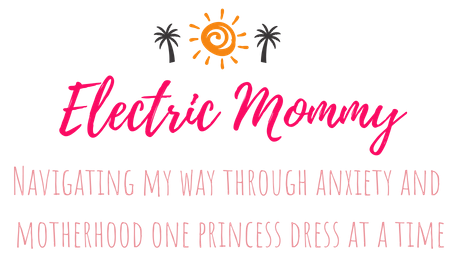 Being a mom to a reflux baby is hard! 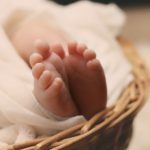 Every baby is different so it takes time figuring out what works for your baby. Hang in there and if it gets to be too much, reach out to someone. 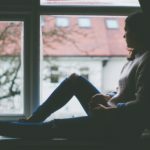 Talk to someone if you are struggling and get help. 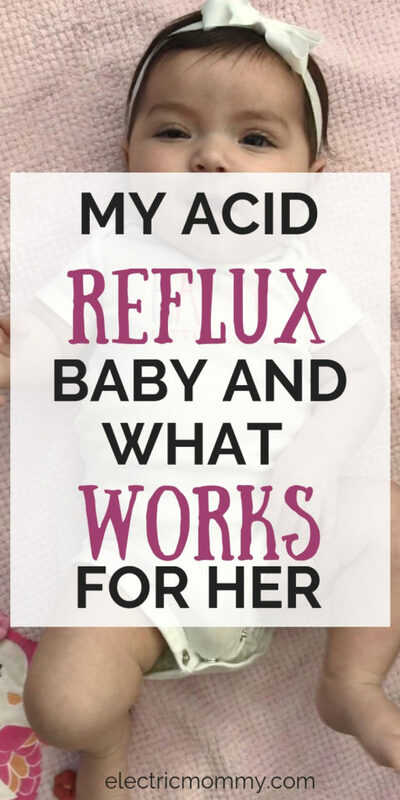 What worked for your reflux baby? 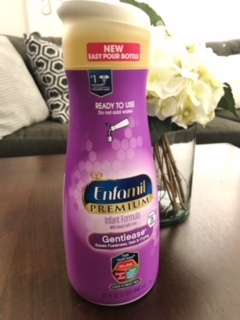 My son had trouble with acid reflux and we switched to Enfamil Gentlease which seemed to help out a bunch! I never thought to try the ready-made kind. Will definitely remember this if we decide to have more kids in the future.